The ideal solution for inflow and infiltration monitoring in wastewater collection systems. Rugged, user programmable, battery operated. Wireless Inflow and Infiltration (I&I) Monitoring Solution Made Simple. 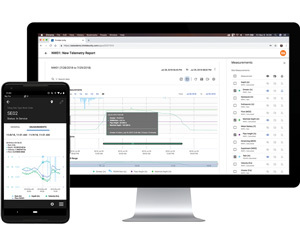 Trimble Unity software combined with Telog wireless, battery-powered recording systems monitor groundwater levels and wastewater and stormwater level and flow so utilities can take proactive measures to reduce inflow and infiltration into buried pipelines. Telog recorders provide a GIS-centric cloud and mobile platform for monitoring groundwater level and I&I and are designed for use in harsh environments. Telog recorders can store data internally for many months and wirelessly transmit on a defined schedule or in response to alarms, providing a powerful solution for monitoring and reducing impacts of inflow and infiltration on wastewater and stormwater networks.